Like many African cities, Addis Ababa, the capital city of Ethiopia, is at the turnstile of urbanisation. Recognising the need to augment the existing inadequate public transport, authorities are considering implementing a bus rapid transit (BRT) system in the city. In the first week of October, a 13-member high-level delegation from Addis Ababa visited India with the aim of learning from similar projects in Indian cities. The delegation visited Ahmedabad, Indore and Bhopal to learn about the successes and challenges faced by these cities in developing and operating the BRT. The delegation visited Ahmedabad’s Janmarg, the largest BRT network in the county that extends 107 km (66 miles), carrying around 150,000 passengers per day. The system was launched in October 2009 and has since seen a consistent increase in the network as well as ridership. In Indore, the group visited iBus, the highest used BRT line in the country. The system runs for about 11 km (6.8 miles) on AB Road, the main arterial in the city, carrying 45,000 passengers each day. Bhopal was the next city the group visited. Unlike Ahmedabad and Indore, MyBus, Bhopal’s BRT, is an ‘open system.’ In addition to 20 dedicated BRT buses, the fleet of city buses, which travel from that area, also use the BRT network. This network of 24 km (15 miles) carries over 50,000 passengers per day. There was also a visit to the dismantled BRT corridor in Delhi where the group interacted with senior officials to learn more about the factors that led to the closing down of the project. The delegation also learned more about the cluster bus operations in Delhi along with the visit to the control centers. When Indian cities were in the process of developing BRT, they went on similar study trips. The observations and interactions with officials and BRT operators in other cities, and the documentation and exchange of experiences are helpful in improving planning and implementation. 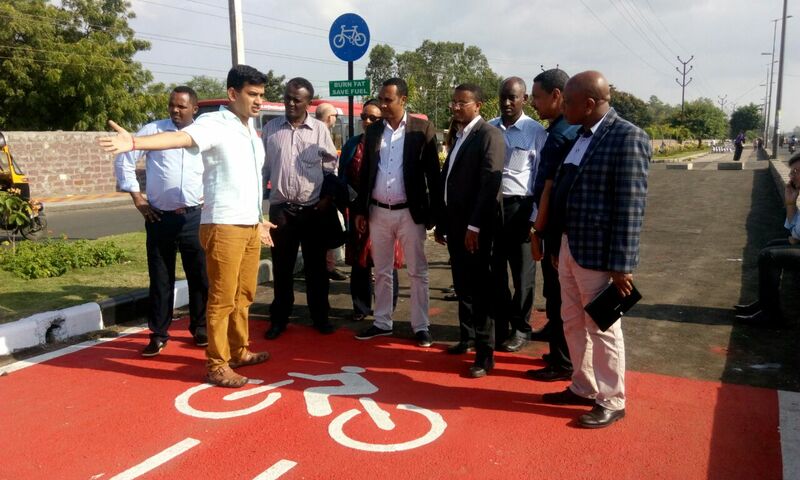 This trip, supported by the Bloomberg Initiative of Global Road Safety to study the BRTs in Indian cities, helped decision makers and professionals from Addis Ababa identify and address similar issues and opportunities. 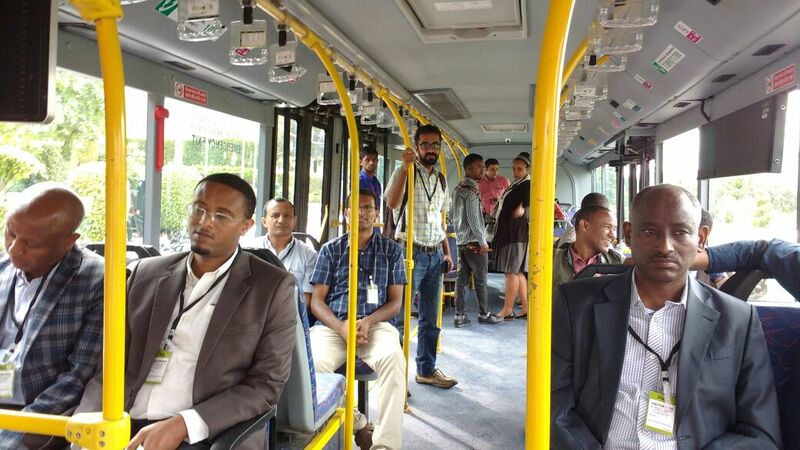 This sharing of international experiences accelerates the learning curve of national and local authorities and sector professionals and will help Addis Ababa in developing a high-quality, safe, and efficient Bus Rapid Transit System.